Le Guess Who? is cooperating with local graphic school X11 this year. We introduced our festival to the students, and also introduced some of our artists to them. 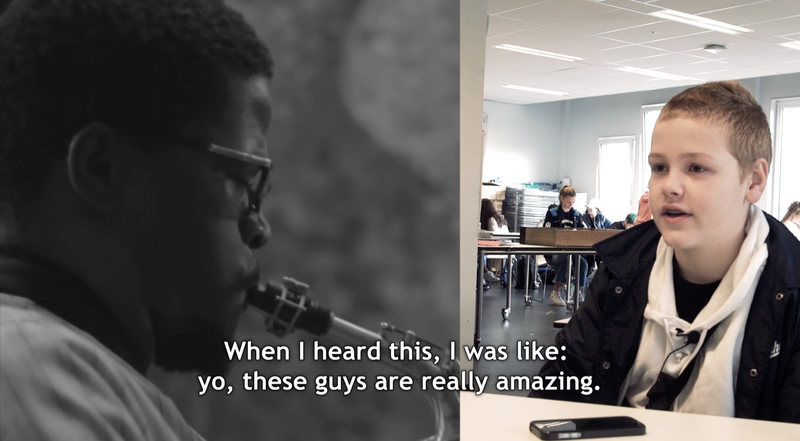 For some of them, it was the very first time they heard this type of music, and hearing and seeing their expressions and reactions was an absolute joy. Sometimes, it gave them new insights into the ways how music can be made. Sometimes it reminded them of the artists they (or their parents) listen to at home. Sometimes, they didn’t understand the music at all, but still, they were interested in how the music was made, why, and by whom. The students chose one of the acts of Le Guess Who? 2017 to create a visual work for. Now, we’ve interviewed some of them about their experiences with the music of Perfume Genius, Abdel Karim Shaar, Mozart’s Sister, and Shabaka & The Ancestors. During Le Guess Who? 2017, the posters and 3-D objects that are created will be on display in TivoliVredenburg during all festival days.